News of the Italians making a new V12 are pretty much always epic but when the creation is from Lamborghini things differ a bit. The differ even more when you find that the new V12 engine is the one we’ll see next year in the Lamborghini Murcielago’s successor. The same applies for the new gearbox. Now, away from the future and on with the present. The new Lamborghini V12 is a 6.5 liter unit and to make it clear from the start, it will be developing 700 horsepower at (are you ready?) 8250 rpm and 479.4 lb-ft at 5500 rpm. This is the sort of power you find in seven to ten normal family cars. And as for the weight the future Lamborghini will be dragging along it shouldn’t be much. Proof of a lightweight construction start with the engine itself. 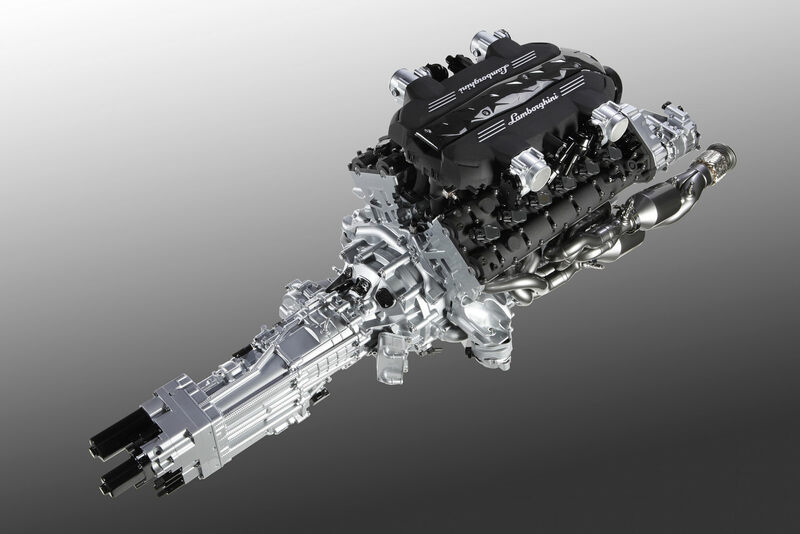 The very impressive Lamborghini powerplant weighs in at just 518 pounds (which is the weight of a normal mid size diesel engine) and the new Lamborghini ISR gearbox will only tip the scales at 174 pounds. Another important thing about the Lamborgini ISR gearbox is the fact that while it’s lighter than a typical DSG gearbox it uses some very serious engineering. According to the Italians, the Lamborghini ISR gearbox can manage 50 percent faster shifts than a DSG and this takes place by only using one clutch. Gotta hand it over to Lamborghini, they know how to come up with brilliant engineering and they sure know how to sell it.